Kind of random, but kind of planned. A little bit at least. I really like this in the pastels. What size are the blocks? They are finished at 5 inches. I love 'em small. 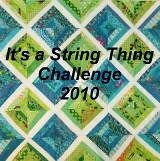 That is a very pretty quilt. The colors look so soft and snuggly. Did you see that you are my winner for the patriotic charms? 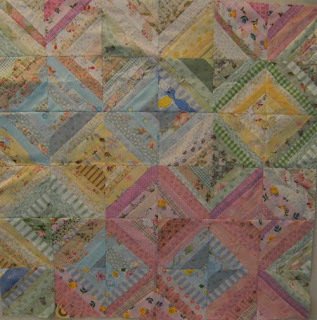 Love the beautiful soft pastels of this quilt. I love the soft colours of this quilt, really beautiful.